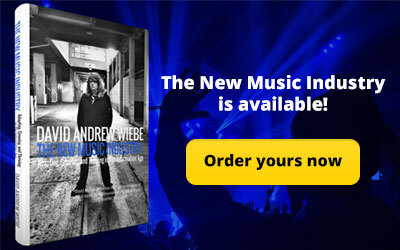 As you are surely aware, I talk to my fair share of musicians. Being a musician myself, I can certainly empathize with their viewpoints. 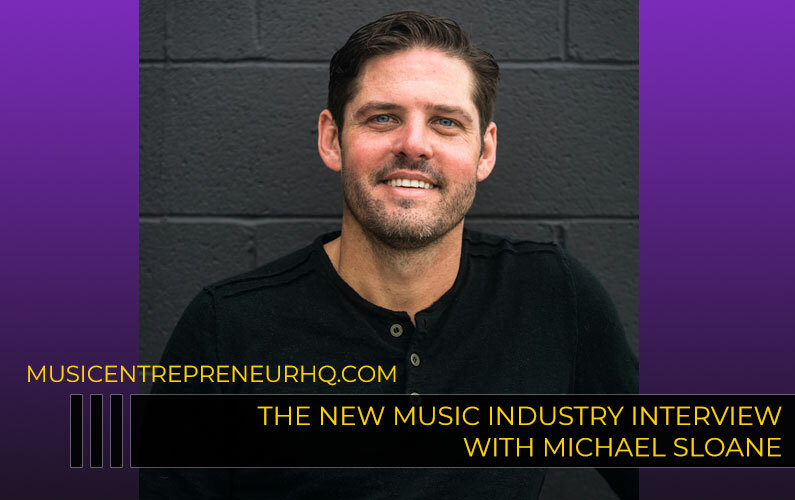 I say empathy, because I think sympathy is far less productive when we’re talking about music career success. Feeling sorry – for ourselves or for others – doesn’t allow us to move forward. If you’ve said any of the following five things, don’t worry, I know I’ve said most if not all of them myself; either out loud or subconsciously. But let’s focus on changing our attitudes and the language we use on a regular basis so as to better align ourselves with our goals. I’ve talked about the fact that comparison is the root of all unhappiness before. Look, just be willing to admit that so-and-so may have actually put forth more time, more effort, more money, more something than you may have. Hard work doesn’t always show up on the surface. It’s oftentimes the result of all the work that goes on below the surface. 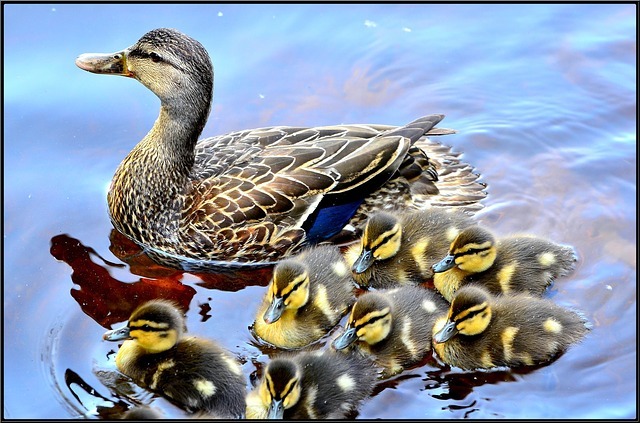 Just think of a duck. All the work happens beneath the surface. Don’t compare. Celebrate the victory of others, knowing that if they can achieve, so can you. By allowing others to find their platform and be in the spotlight, you are preparing yourself for the same desired result. Ah, yes, the good old “this is my passion and I will never work a day in my life if I work at what I love to do” routine. I’ve talked about this before. The issue is not that you have this desire. Your goal is totally justified. The issue is more that you’re setting yourself up for failure. Do we get things we want, or do we get things we earn? For all intents and purposes, please start saying “I am making a living doing what I love to do” immediately! That will free you from the shackles of perpetually trying to reach a point you could already choose to be at. You’ll also start dreaming bigger, and that’s the key to achieving the smaller milestones along the way. 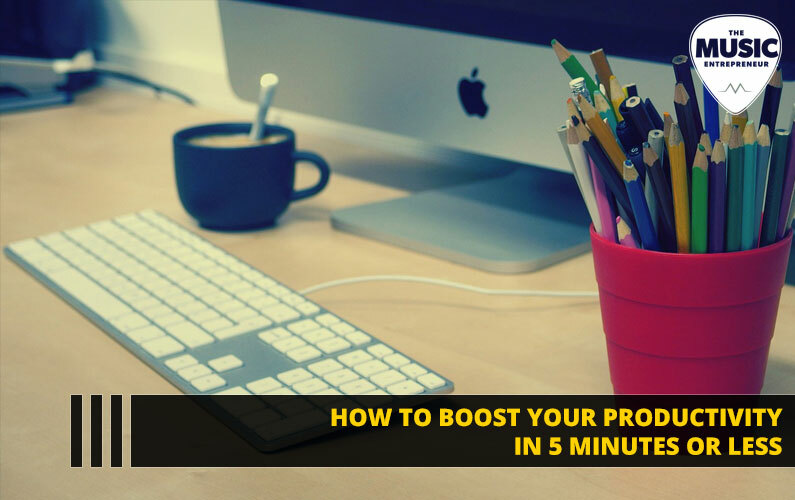 First, you need to commit yourself to mastering time management techniques, as well as batch processing. Then, you need to learn about automation tools. If that still isn’t enough, then you need to get clear on your priorities, and stop spending time on projects and people that drain you and waste your time. 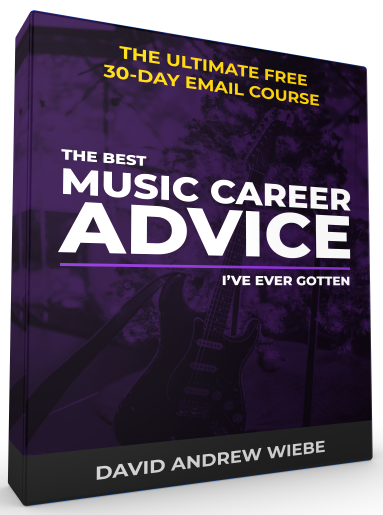 I know, it sounds harsh, but if you’re serious about your music career goals, you have to be willing to sacrifice. 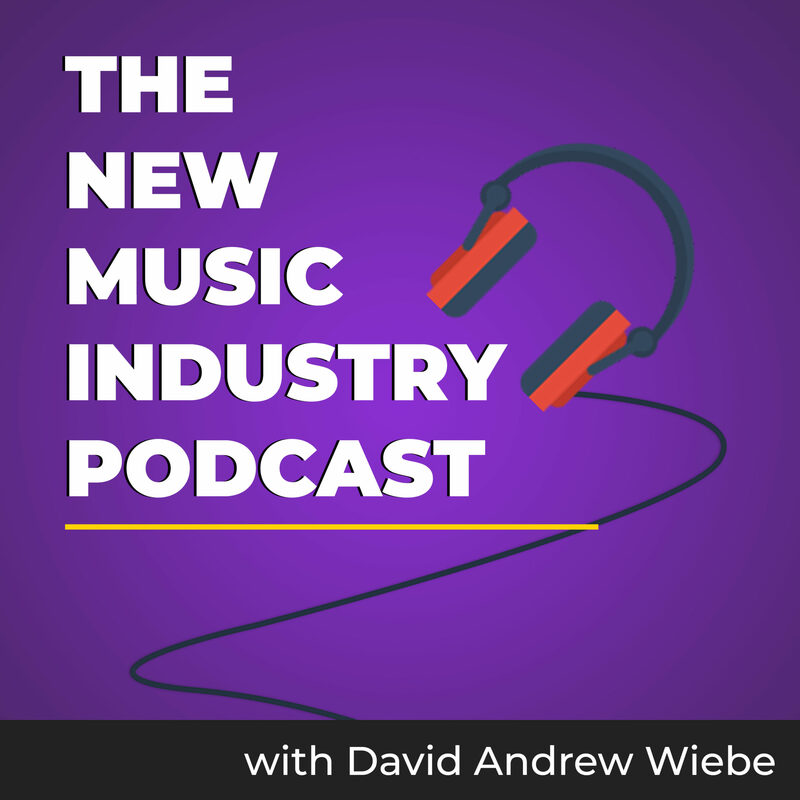 If you think that you as a musician are constantly being devalued, consider how photographers, graphic designers, bloggers, artists, and other creatives feel. There’s a symbiotic relationship between all forms of art. The musician doesn’t want to pay the photographer. The photographer can’t hire a model. The model doesn’t have any work. There isn’t always a direct line of connection between every profession, but I think you can see that every piece of the puzzle is important. Artists all offer value to the world in one way or another. But it isn’t just the fact that we need to create an economy of support among creatives. It’s also that we need to be willing to humble ourselves to ask for help, and even pay for it when necessary. This statement fails at grasping the age we now live in. The information age requires us to choose ourselves, and not wait to be chosen. 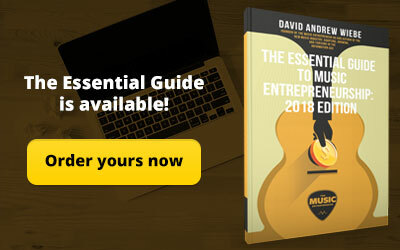 Does a musician need to know everything there is to know about business? Absolutely not. 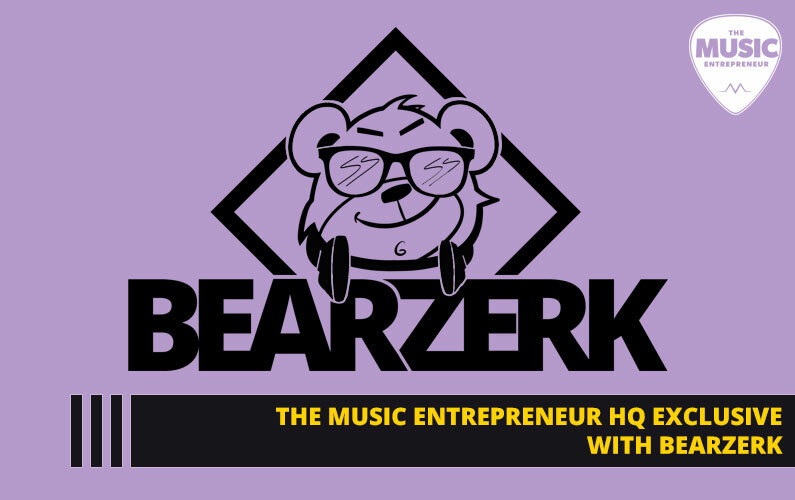 However, a music career is a business, and it’s really like any other business. Businesses have clients, profits, expenses, employees, the works. 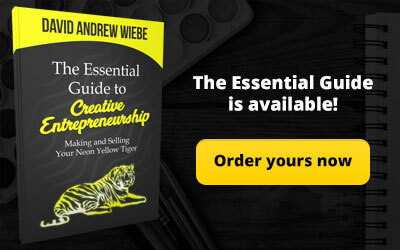 Creativity can be applied to a variety of areas of business, but that doesn’t mean that you can forego the business side of things altogether. 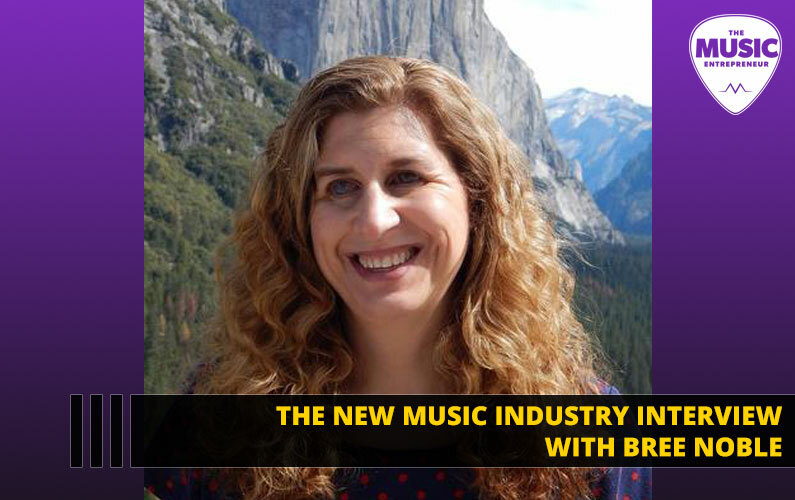 As your music career progresses, you may have the opportunity to divvy up and delegate tasks, or bring on a team. However, until then, you need to be the captain of your ship. 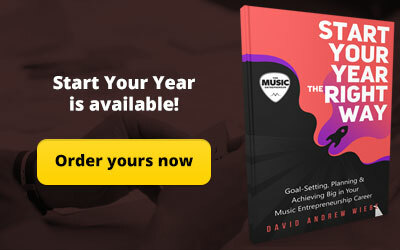 If you’re not sure what you need to know about the business side of music, I would encourage you to check out my How to Set Up Your Music Career Like a Business audio course. 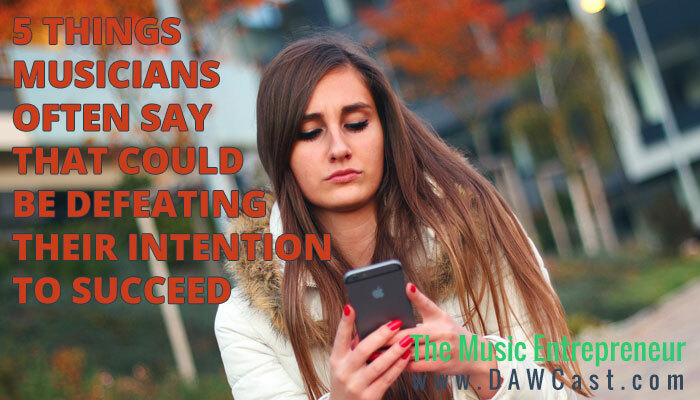 In your efforts to create a successful music career – however you define success – it’s important to be aware of your limited thinking. As you begin to take the unnecessary filters off of your mind, you’ll begin to achieve clarity like never before. What are your thoughts? What are some other things musicians often say that defeat them?